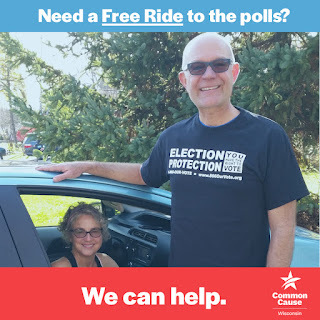 Common Cause in Wisconsin today proudly unveils our 2018 statewide list of free rides to the polls for the midterm election. Here's why we did this. Four years ago, our organization decided to do something to help. The catalyst was a phone call we received in early fall of 2014 from an elderly voter in Caledonia. She wondered if we knew of anyone offering rides to the polls in her area. After much digging, we found an organization offering rides in her town – the Racine Interfaith Coalition. We then connected this voter with that group, and the story ended on a happy note. What other organizations in Wisconsin might be offering rides in areas where few in their community know about this service? And wouldn't putting together and publishing a "master list" of these groups help raise awareness of these ride options? So we scoured the web, and started making calls. Lots of calls. And while we discovered over a dozen advocacy groups, transit, cab and private companies offering rides to the polls, we also identified areas in Wisconsin where no one offered this assistance. As a result, we added our own organization to the list of those offering rides, and began recruiting volunteer drivers to try to shore up some of the gaps. After starting small, we ran this program again two years later, in 2016 – with over 20 organizations and nearly 80 of our own drivers on the list – covering over 30 individual cities and towns, and over 30 entire counties. This time around, we provided our volunteers with additional training and resources so they could ensure that their riders would be prepared to vote when they arrived at their polling place, making sure they had an ID acceptable for voting and (if they needed to register at the polls) a proof of residence document as well. As we head into the 2018 midterm election, we are back at it, once again identifying and recruiting organizations and individuals statewide who are willing to offer free rides to the polls during early voting, on Election Day, or both. The first version of our list is now live. Check back regularly, as we will be updating our list when more volunteers and organizations are added. And please share this list widely; the whole point is to let folks know that if they need a ride, help is available. Join our team of volunteer drivers – or let us know of any organizations in your area offering this service! Send an email to Sandra Miller at smiller@commoncause.org to learn more. Remember, we're all in this together. So let's do what we can to make sure the voices of all eligible Wisconsin voters are heard at the ballot box this fall. 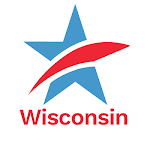 Common Cause in Wisconsin's 2018 Statewide List of "Free Rides to the Polls" for the Midterm ElectionTweet this!